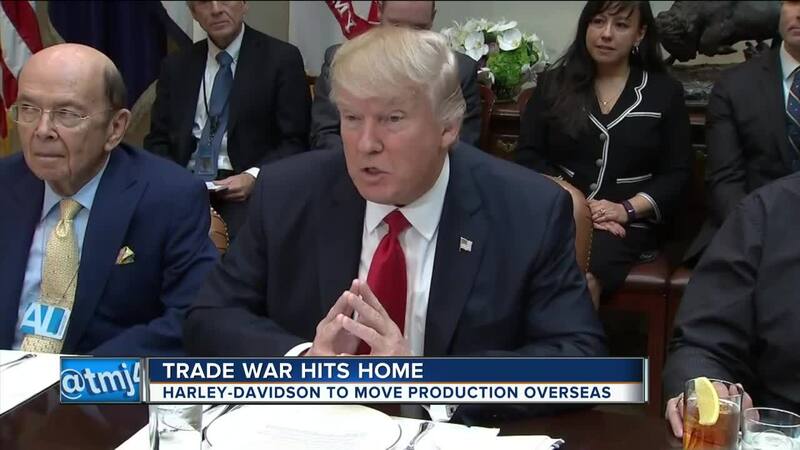 President Donald Trump took to Twitter after Milwaukee-based motorcycle company Harley-Davidson made the decision to shift production overseas due to a spike in European Union tariffs. Gov. Scott Walker says his goal when it comes to tariffs is to level the playing field to where there are few or any imposed on products made in the United States, including Harley-Davidson motorcycles. 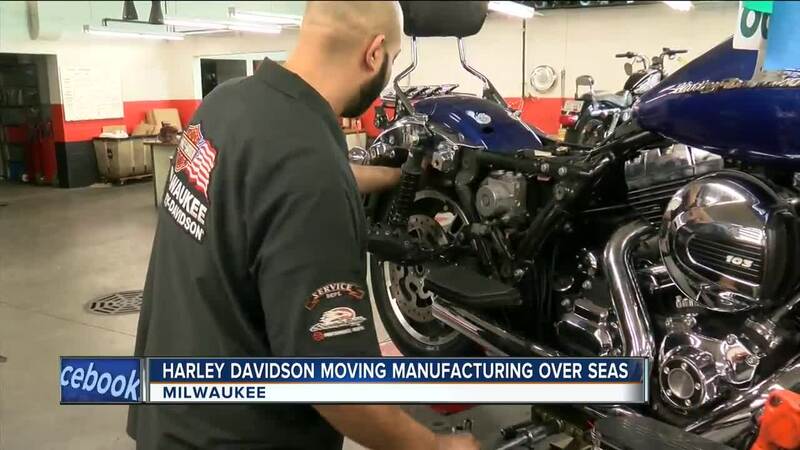 Walker says that's what he will push for in the wake of news that Harley-Davidson is shifting production of motorcycles headed for Europe from the U.S. to factories overseas due to increasing tariffs. White House press secretary Sarah Huckabee Sanders says the European Union "is trying to punish U.S. workers" by increasing tariffs on American-made products. Sanders made the comment Monday during a press briefing. She was asked for President Donald Trump's reaction to Harley-Davidson announcing it would shift the production of motorcycles headed for Europe from the U.S. to factories overseas. The Milwaukee-based company says it made the decision because the higher tariffs the EU is imposing on motorcycles exported from the U.S.
Sanders accused the EU of repeatedly engaging "in unfair trade practices" and that Trump is saying "enough is enough." The EU tariffs are retaliation for duties the Trump administration is imposing on European steel and aluminum.